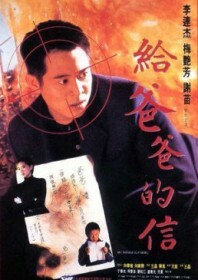 Jet Li‘s first successful departure from traditional kung fu hero to modern day action man. This isn’t a classic by any means but it does provide a convincing contemporary performance from Jet Li in keeping with his burgeoning popularity in the west. The story doesn’t break new ground, with Jet playing an undercover cop determined to bring down criminal kingpin Yu Rong-guang, and things get messy when the cop’s family get involved. Anita Mui is excellent as a straight-laced cop investigating the triad gang, although wushu wunderkind Tse Miu – playing Jet’s young son – is clearly the film’s trump card. Out of all the fight scenes, a genius three-on-one battle near the end will require a rewind. AKA: Dragon Kid; The Enforcer; Jet Li’s The Enforcer; Letter to Daddy.